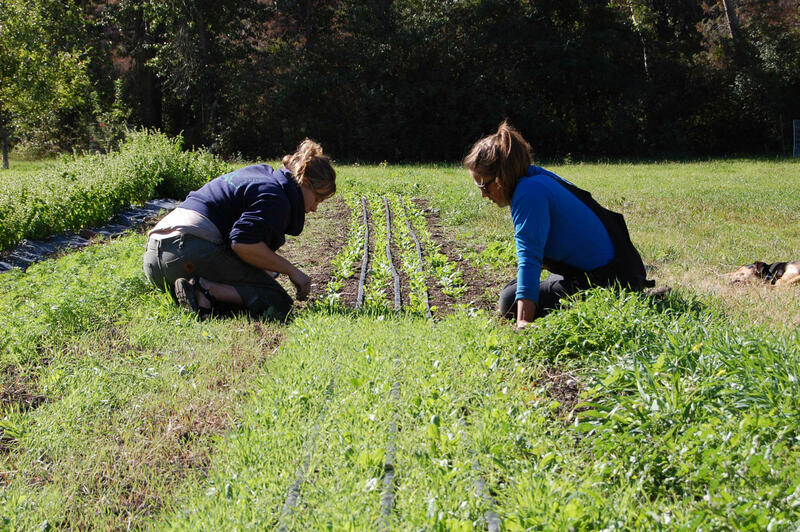 Producer Lacy Roberts brings us an hour of conversation with and about female farmers. First, we learn why photographer Audra Mulkern started the Female Farmer Project and what it reveals about female back-to-the-land farmers. Next, we sit around the kitchen table with Tracy and Margaret, owners of Dixon, Montana's County Rail Farm, and two of the farm's young interns, Kitty and Morgan, who describe falling for organic farming. 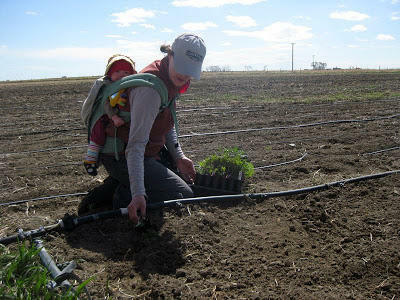 Finally, farmer-mom-journalist-editor Courtney Lowery Cowgill of Prairie Heritage Farm near Power, Montana shares how she, a farmer's daughter who vowed to never marry a farmer, did exactly that. Cowgill's description of this phase of her career: "part-time job, full-time Mom, part-time farmer and full-time cook and keeper of the house, the finances, the schedule, the diaper bag..."
"In Other Words," July 22nd, 2014: Women Farmers, produced by Lacy Roberts. Producer Amy Cilimburg talks with three Missoula-area professionals: nurse Beth Schenk, and psychotherapists Jen Robohm and Kevin Dohr. These experts share research and their professional and personal experiences around climate change and human health. In this time of rapid change, they offer reasons for hope. 7/8/14: This week on In Other Words: Beth Judy talks with Allie Olson and Kate Healy, the behind-the-scenes engines keeping the annual Red Ants Pants Music Festival rolling. The festival raises money for the Red Ants Pants Foundation, a non-profit supporting women’s leadership, working family farms and ranches, and rural communities. 7/1/14: This week on "In Other Words:" producer Ann Szalda-Petree welcomes Salina Chatlain, producer of the 2014 Missoula Colony, and Missoula playwright Kate Morris. Included is a reading from Kate's play, "Church." 6/24/14: This week on "In Other Words:" It's a live music show. Host Ann Szalda-Petree and singer Eden Atwood play an hour of cover songs performed by women. Tuesday evening, 10:30-11:30pm.